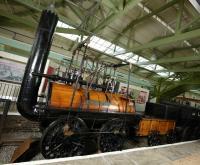 Come and explore Darlington’s railway heritage and see Locomotion No1 - the first engine on the Stockton and Darlington Railway in 1825. There’s lots to see and do in the museum for all ages. We also have a playroom, shop and space for picnics. Please visit our website for more details and the events programme. Visitor's Visual Story for people with Autism available.